Love this FENDI Girls Pink Neoprene Mini Me Dress for Fall Winter 2017-18. Inspired by the adults collection, this pink mini me sweatshirt dress by Fendi is designed with the brand's penguin stripes and Bag Bug eyes. 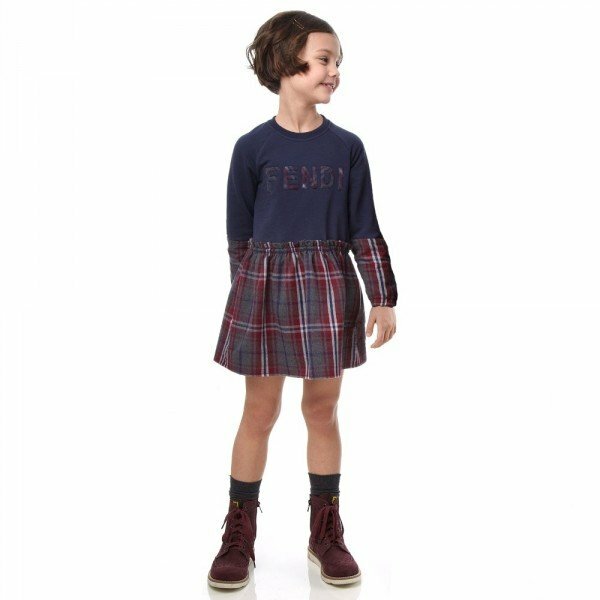 A fun and feminine choice for girls , this adorable dress is made in mid-weight neoprene, the skirt is lined in soft tulle and has a pretty scalloped hem. Complete the look with a pair of leather high-top boots.